A root canal is a lot less scary than the name suggests: it’s when the nerve of a tooth is affected beyond repair. We remove the nerve, clean and shape the canal spaces inside the tooth and then fill it back up to prevent any more bacteria from getting in; this allows the tooth to stay and function as normal. A root canal treatment is a way to save painful and infected teeth instead of extracting them. Why would you need a root canal and what problems it can solve? When the nerve inside a tooth is affected, a root canal can save your tooth. It will take away the pain and allow the tooth once it has been restored to feel and function normally (restoration may require a filling or a crown – recommended for all back teeth, since a root treated tooth is much more brittle without its blood supply and about five times as likely to fracture than your original tooth). In most cases of severe toothache, abscesses and deep decay (reaching the nerve), root canals are an effective treatment. A root canal prevents you from needing an extraction where the overall prognosis for the tooth is good, and, there is enough tooth remaining to hold a restoration. If you have symptoms of irreversible pulpitis (a swelling in the nerve due to bacteria from decay or from a fracture), then a root canal is likely to be needed. Symptoms include pain that disturbs your sleep, occurs randomly and lasts more than a few minutes, or radiates up to the top jaw and ear. A tooth that becomes very tender to touch suggests that an abscess is forming and the inflammation has moved to outside the tooth- a sure sign you need a root canal. If you have a large swelling in your mouth or a discharge of pus, this may also indicate a root canal (if the abscess is of tooth origin rather than the gum: this would require different treatment). Are there different types or options? Not really, the basic process as described below is always the same but the actual technique used will vary slightly from dentist to dentist. The materials used may also vary slightly but again all perform the same function. Dr Jamie stays up to date with his CPD and follows the latest evidence based information to provide the best care he can to his patients. Can you describe the root canal procedure? The procedure sounds a lot worse than it actually is: the tooth is made numb, and the dentist locates the canal or canals which are deep inside the tooth. Different teeth have different numbers of roots and each root may contain more than one actual canal. A little rubber sheet is applied to your tooth and the tooth itself pokes through it to allow it to be worked on. We can then use a range of files and strong antibacterials to kill the bacteria in the root canal – keeping it dry and sterile. We use tiny files of different sizes to find the canals- sometimes this can be very tricky as the tooth will try to protect itself from invading bacteria by laying extra layers of calcification way down inside the tooth – these need to be removed. 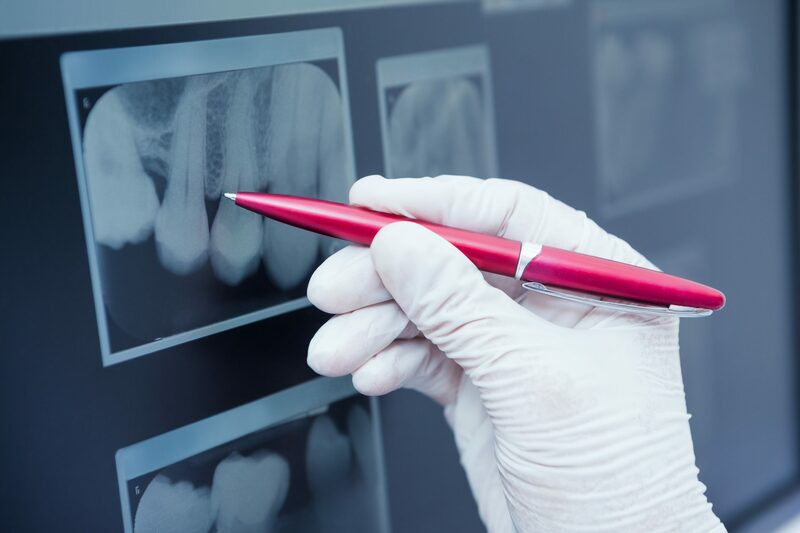 We measure how far we are down inside the tooth canals using x-rays and a device called an apex locater: we want to be just short of the tip of the root when cleaning and filling. We continuously disinfect the tooth throughout the process and progress to using a sequence of titanium rotary files in a special hand piece to shape the canal and remove excess bacteria which has infected the dentine in the walls of the tooth. Our last stage is filling the tooth up with a material called ‘gutta percha’ –right to the tip: there are various methods that can be used here. We take an x-ray to confirm we have correctly filled the tooth and then seal the canals thus restoring the tooth. In summary, there are three distinct stages and these will be performed over two or thee appointments. Some dentists do them in one session, but Dr Jamie believes a week with an antibiotic cream in the canal really does add another level of disinfection and a more predictable result. Are there specialist dentists who perform root canal treatment? General dentists perform root canals everyday and Dr Jamie has carried out numerous treatments. For very difficult cases and those cases which require special attention, or previously treated teeth where the infection hasn’t resolved, we have a dental specialist called an Endodontist who we can refer too. For the patient, root canal treatment is pretty easy in terms of the experience, but for the dentist it can be simple or incredibly tricky, since no two teeth are exactly alike. Despite being a consistently successful procedure that allows your tooth to remain in use for many years, even decades, there are risks and potential complications that could arise. Missed root canals– Endodontists would put this down as the number one reason for failure: the importance of using good magnification when treating patients cannot be over-estimated. Re-infection– if the initial infection is significant, it is harder to disinfect the tooth. Sometimes this is due to the dentist inadequately cleaning the tooth, but may be due to a complex root formation, or a missed fracture in the root that’s leaking bacteria. Fractured instruments– we wish it didn’t happen but it does: sometimes the tiny files we use can separate and become lodged in the canal. 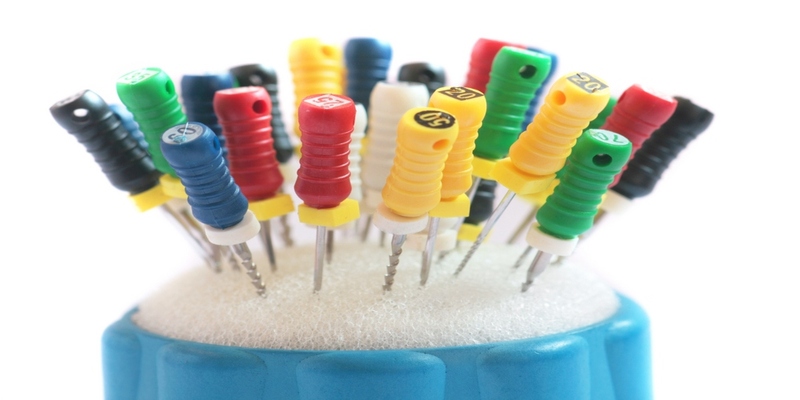 If we can remove them we will, sometimes we can’t and have to accept the situation – we just fill in and around the instrument – this should not affect the quality and longevity of the root canal. Root canals are very successful procedures (about 90-95%). This percentage is slightly less if there is significant infection, and falls further if it is the second time a root canal has been attempted. When the nerve of a tooth has been damaged beyond the point where it can repair itself, then it will become (or continue to become) painful unless one of two treatments is performed. The tooth either needs to be removed, or a root canal needs to be carried out for the tooth to remain in the mouth. Both treatments remove the bacteria that has infected the tooth, but one leaves you with a space and the other allows you to keep the tooth. Often the cost of filling the space – certainly with anything fixed like a bridge or an implant – can amount to more than carrying out a root canal: it is important to consider your options carefully. Removing a tooth and simply leaving the space isn’t generally a good idea: it leads to further changes in the mouth such as the over eruption of the opposite tooth, tilting of teeth, changes in your bite and support for your cheeks and lips. Having said that, the prognosis of the tooth needs to be pretty good – an extraction may be the way to go, if there is strong reason to suspect that the tooth cannot be successfully restored. When the anaesthetic wears off, it’s common for the tooth to be a little sensitive or tender: this can be relieved with normal painkillers…it should settle down after a few days. If things are improving…it’s a good sign…however if you are in lots of pain, or experience a sudden swelling (abscess) – most common after the first appointment (but still very rare), then please call us straight away. Sometimes heavily infected teeth need to be dressed a couple of times before they can be filled. I would advise against choosing a dentist simply on the basis of a cheap root canal. Find a quality dentist you can trust and who will look after you and you will save money, pain and time in the long run. The cost of root canals can vary considerably depending on a number of factors. But the range would be anything from about $800 for a single canal to nearer $2000 for 4 canals. You will also need to consider what will ‘top’ the tooth after the root canal therapy- will a filling be ok or is a crown needed?